You can sign up for alerts by text or email from many stores to get updates about when they are running sales. Following them on social media is an excellent way to know when the buys are the best too. If you are planning your wedding at least one year out, hit all of the after-holiday sales for decorative items. WhereBridesGo.com always has some type of code on our website offering special discounts. These change, so visit the site often until you see the deal you have been waiting for! (Remember to leave enough time for your orders to ship!) Also, under the "Ceremony" tab we feature a "Clearance" section where you can take advantage of some unbelievable special prices. Visit that section often too, but if you see something you have to have, order it before its gone! There are most likely quite a few things laying around your house that never ever get used. 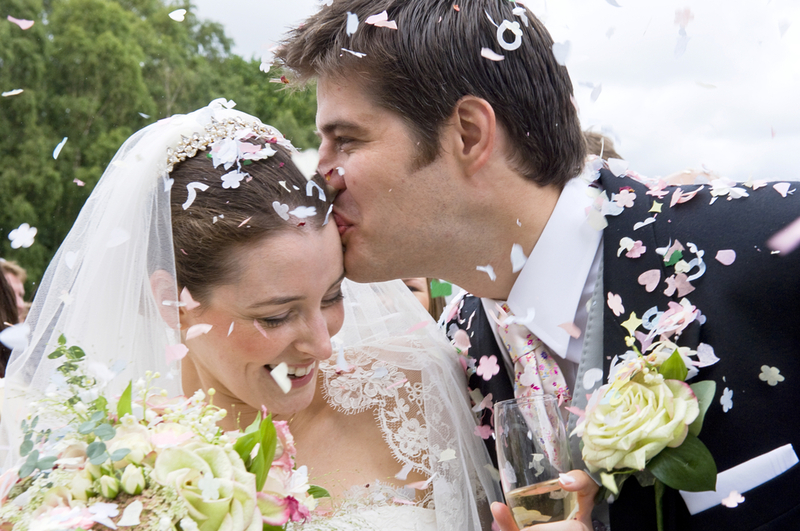 These items can be turned into cash for your wedding! If you have lots of them, or if you will be consolidating two households into one, consider having a garage sale. Another option is selling on Ebay or one of the many local Facebook selling groups that have formed. Another great way to find extra money is by using credit cards. This particular tip is only helpful if you pay them off right away and avoid interest charges. As long as you promise to do that, many credit cards will give you cash back for purchases made, or even free mileage that can be used for your honeymoon trip. Buy everything for the wedding with the card, earn the free money, then pay it off with what you already had saved for your wedding budget. Many venues offer discounted rates if you get married on any day other than Saturday. This may require a bit of extra planning for your guests to be able to attend if they have a Monday-Friday job, but you can throw an awesome celebration for a fraction of the cost for the venue rental. It's definitely worth considering if you want to save some money. If you can find a venue that allows you to have both the ceremony and reception in the same spot, this will save you from having to pay two separate venue rental fees. If you can find one that allows you to bring in all of your own vendors (cake, catering, etc...) it's usually a lot easier to keep the prices down on those. 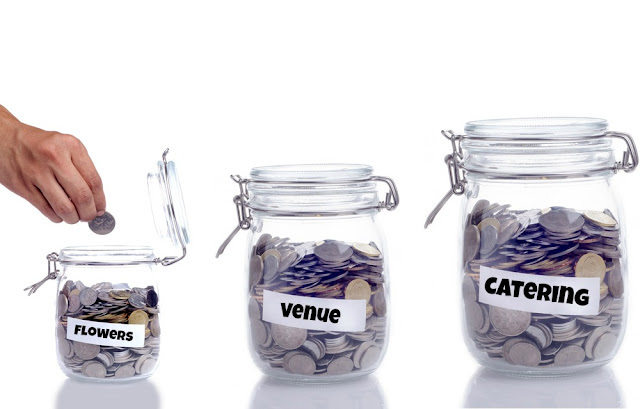 Do the math though, because some all-inclusive venues have wonderful package deals to take advantage of. Wedding invitations come in all different sizes and often with lots of bulky, extra inserts. If your invites are larger and heavier than a regular card, the postage you have to pay will start rising quickly. Keep this in mind while stationery shopping. Having a wedding website, which you can find as a free service online, will allow you to skip many of the inserts that are normally found inside a wedding invitation envelope. You can virtually accept RSVPs, give directions to the venue, share hotel information, and much more. Those tips should get you started on your budget wedding planning, and next week we'll cover a few ways to cut back spending on reception items in Part 2 of 9 Simple Ways To Save Money & Stretch Your Wedding Budget. Don't forget to visit WhereBridesGo.com often to check out the new clearance items and special discount codes. If you'd like to join our mailing list, you can do so from the right-hand column of this blog. See you next week!